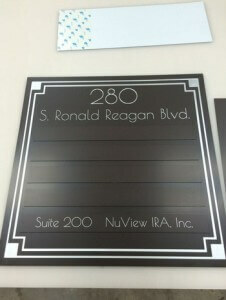 Office Signs for Walls Brand Your Business! You can find really inexpensive markers for your office walls with a quick Google search. But, you usually miss out on one of the biggest benefits of signage when you cut corners in this way. Online sign makers are notoriously bad at boosting your brand recognition. They simply do not have the skills or patience to make sure your signs match the fonts, colors, and logos on your other marketing materials. Guests at your venue will begin to remember who you are when you include your business’s logo in your markers. Consumers start to trust you when they recognize your brand. And, when they are in need of the items or services you provide, they will call your enterprise first. Commonly known as reception area signs or waiting room signs, lobby signs are generally utilized to welcome clients and other guests in along with building your brand awareness. 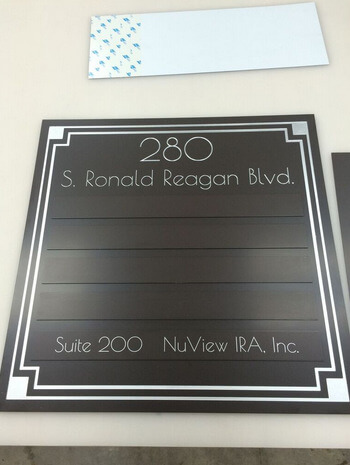 We can manufacture professional and distinguished metal laminate dimensional letters or give your lobby a glossy look with acrylic markers. Your interior décor, goals, and corporate culture will guide us in making the best recommendations for your reception area signage. We can print high-resolution photos on vinyl, paper, or canvas using our large-format digital printer. The image is then mounted to a frame to create your custom work of art. This is a favorite alternative to the nondescript framed paintings you usually find in reception areas. Framed canvas prints are the ideal way to highlight images that are relevant to your industry. For instance, if you recently helped construct a major building in the Orlando area, you might choose to showcase photos of the project. Or, if there is a particular product you manufacture, you may want a framed photo of it in use. 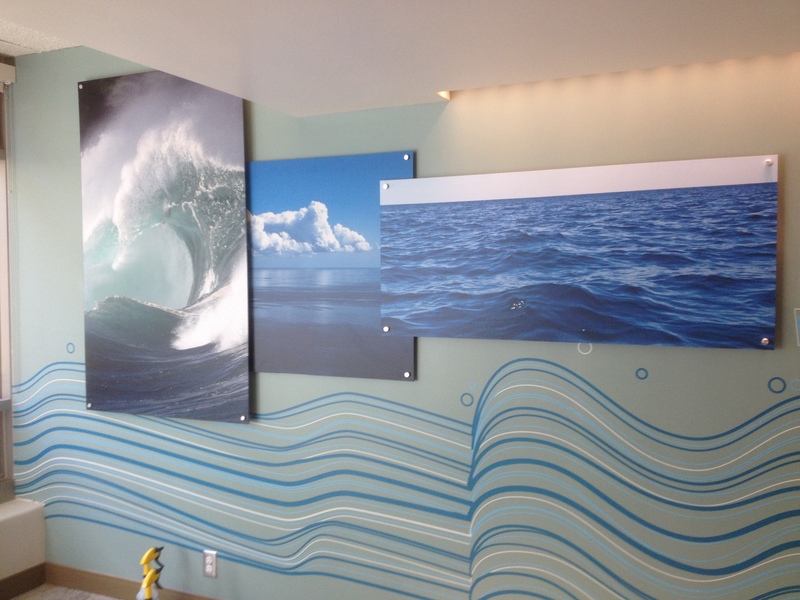 Vinyl wall graphics are becoming increasingly common in professional settings because they are versatile, inexpensive, and easy to remove and replace. If you have a giant focal wall in your lobby, you might choose to cover the entire wall with a sharp, full-color mural that prominently displays your organization’s logo. Wall graphics are also helpful for wayfinding purposes. You can use them to label specific rooms throughout your venue, to point the way to various suites and amenities, or to denote where each department is located. Choose from dozens of standard colors, or we will precisely match your branding or interior. From our location in Orlando, Citrus Sign Studio is proud to supply the communities of Winter Garden, Kissimmee, Doctor Phillips, Lake Nona, College Park, and Altamonte Springs as well as the rest of the Greater Orlando area with sign maintenance, installation, fabrication, and design services. 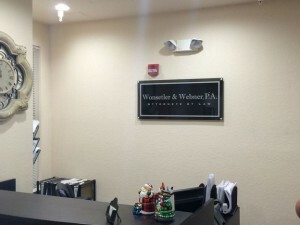 If you are in need of top-quality office signs for walls, please click below or contact our friendly professionals at (321) 285-0730.